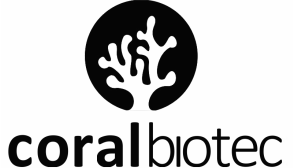 Coral Biotec services mainly other biotechnology/pharmaceutical/medical device RnD companies and universities practicing in biotechnology and molecular genetic studies. Bio-repositories, university groups and RnD companies that develop or validate in-vitro diagnostic devices need anonymous clinical samples with disclosed genetic information for that specific disease or condition. Outsourcing the genetic analysis to Coral Biotec is beneficial for research groups with inadequate technical or equipment infrastructure for molecular genetic level analysis. ​Molecular genetic analysis kits for research or in vitro diagnostic purposes can be developed and validated as a complete project service package. Development of analysis kits includes project handling, primer and probe designs and simulations, laboratory tests and data analysis with clinical validation and reporting. - Consultancy and Handling for Biospecimens: $100-$500 per specimen handling. Depends on the sample type, required parameters and number of cases. - Completing Product Sales: Are also offered. Ask for prices.